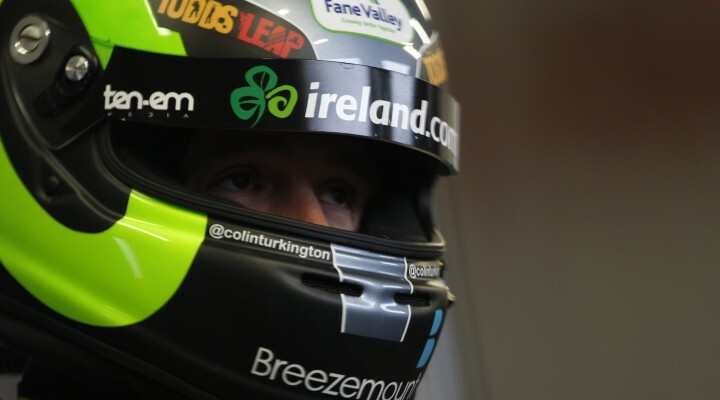 Reigning Dunlop MSA British Touring Car Champion Colin Turkington has fired out a warning ahead of qualifying by setting the quickest time in the final moments of Free Practice 2 at Brands Hatch. The Ulsterman was languishing down the order for much of the session but produced a last gasp qualifying simulation run, which was good enough to pip WSR’s Andy Prilaux and the sister VW of Aron Smith. “We’re making steady progress but with a mixed session like that it’s hard to tell exactly where everyone is on pace,” he said. “We had a few issues with the car throughout the session which means I’ve really only done about seven laps today on full attack mode. Team BMR’s VW quartet were quick throughout the 40 minutes of running with Smith leading his more experienced team-mates until late on. Plato then took over at the top in the final five minutes before being trumped by both Turkington and Priaulx. Smith fought back to set his own best time on the final tour with the Irishman pushing Plato down to fourth in the process. The 1-3-4 finish for VW was slightly marred when Team Boss Warren Scott crashed on the exit of Paddock Hill Bend late on. Sam Tordoff confirmed the pace in WSR’s BMW 125i M Sports by setting the fifth quickest time while Rob Collard claimed 11th in the third Bavarian machine. Adam Morgan’s promising pre-season performances have led many to suggest the Lancastrian could mount his own championship challenge and he completed the top six order in the WIX Racing Mercedes. Jack Goff provided some respite for MG with seventh while Andrew Jordan continued to focus on race set-up for the manufacturer squad. Gordon Shedden and Matt Neal were eighth and tenth respectively with the Exocet AlcoSense Audi of Rob Austin between the two Honda Civic Type Rs in ninth. Click here for the full classification from FP2.